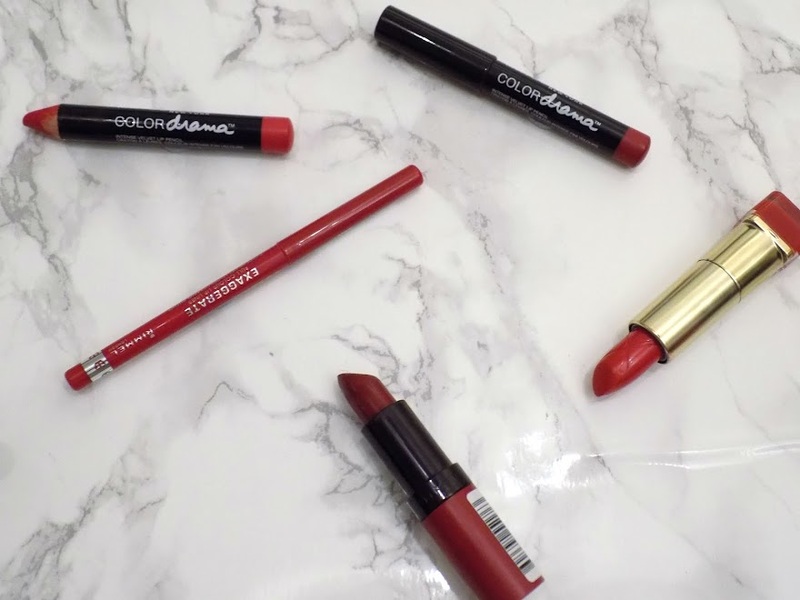 With Christmas parties and festivities just around the corner, I thought I would share with you my favourite red lip products in case you're on the hunt for that perfect red. 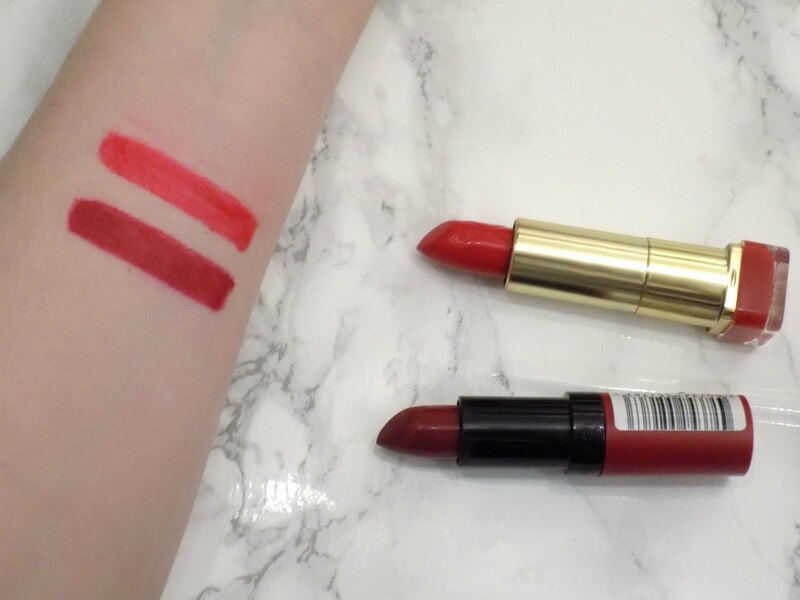 Starting off with lipsticks, I have a classic red and then a deeper burgundy type shade. The Maxfactor Cherry Kiss Lipstick is the perfect classic red for a Christmas party. It's a great formula too as it's not too matte but not too moisturising that it slips and slides everywhere. It looks great on most skin tones and I just like that it's not too pink, not too orange, but bang in the middle. As for a darker, more burgundy red it has to be the Rimmel Kate Moss Matte in 107. This is such a popular lipstick and although I find the formula to be quite drying, add some lip balm before applying and make sure to pat off the excess and it still wears well but keeps your lips moisturised and looking holiday ready. Onto some of my favourite products of all time. 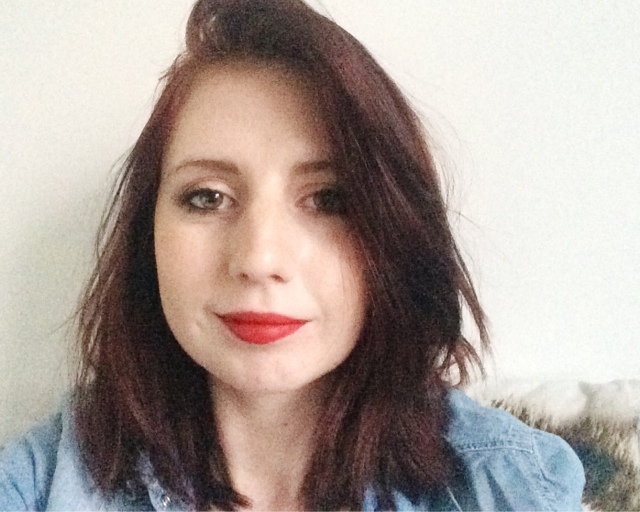 First is the Rimmel Exaggerate Lip Liner in Red Diva which is such an incredible formula. I always use this when wearing a red lip as it keeps the lip product lasting longer and looking better. 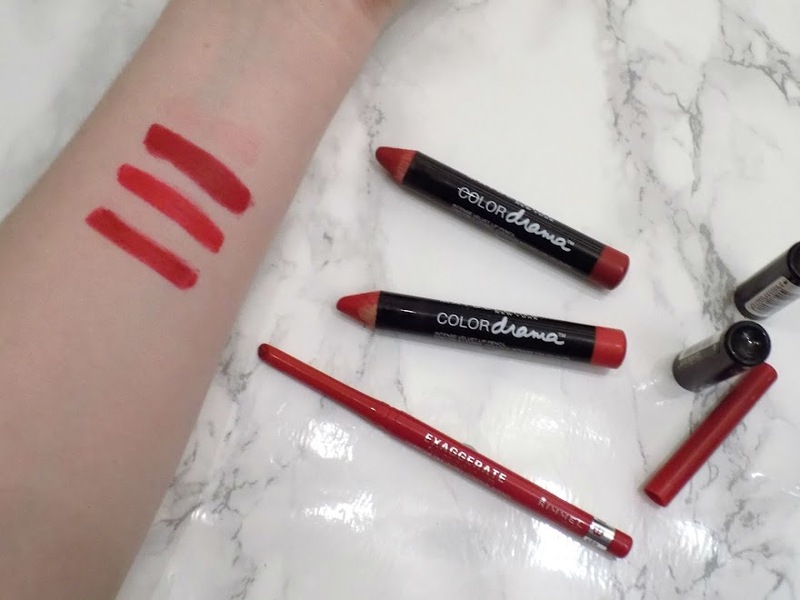 Finally for my favourite lip products ever are the Maybelline Color Drama Velvet Lip Crayon, these particularly shades are Red Essential which is a darker red, and then Light It Up is more of a brighter classic red. These are super long long lasting, they're matte and they are super affordable. 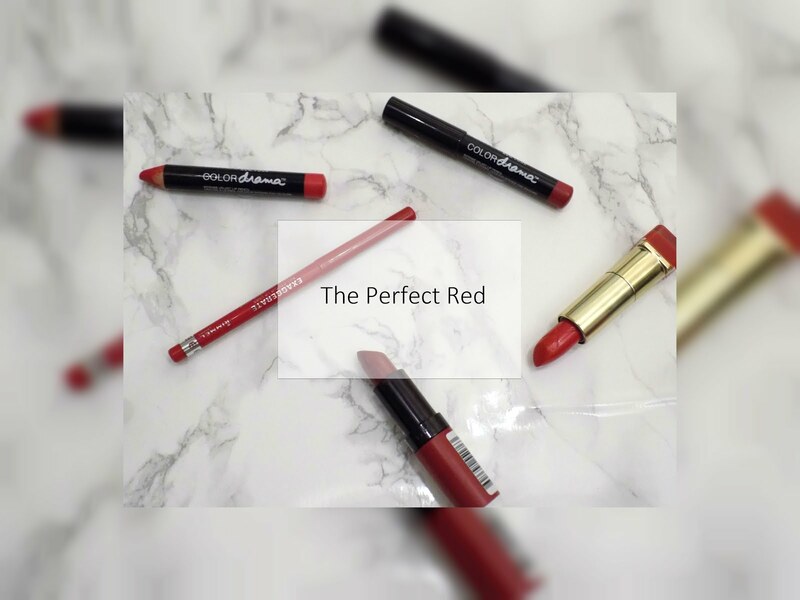 Finding the perfect red can be a frustrating process and if you're tired of trial and error, then you will want to see my How to pick the right bold lip for you which will be coming up next week. That's it for today's post, I know it was a bit short but I wanted to get this up so I can reference it in holiday looks that will be coming up in about a week or so. I will have a Monday Mani for you tomorrow so I hope you will come back and have a look. What's your favourite red lip colour?